Apologies in advance for what will appear to be my jumping on the current trend for bloggers sharing their designer handbag collections and unboxing of new purchases but I've had in mind to share my collection for some time and there are some long term readers who have been requesting this for some time. Yes Candypop I'm looking at you! It seems the done thing is to offer disclaimers and various justification for such expensive purchases but I hope you don't mind I'm not going to do that and instead assume you all know me well enough by now to know this isn't designed to show off. I also hope the stories behind how they came to be in my collection will be somewhat interesting for you as I'm afraid rarely much thought is given to their purchase other than for aesthetic reasons! Moving on. 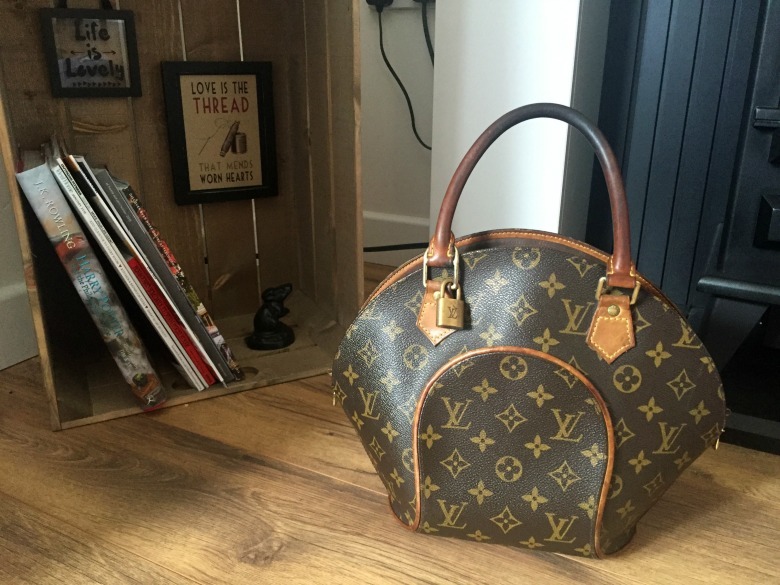 The first bag that came into my collection is the now discontinued Louis Vuitton Eclipse but before I discuss the bag itself I must take you back to explain why a Louis Vuitton bag was so coveted. As a child I had a friend whose mum owned a shop in our local high street. This was not just any shop, it was of course the 80s, Dynasty era and the shop she owned was a treasure trove of costume jewelry that sparkled. Who remembers those diamante spider brooches? Yes these were stocked in abundance. For a young impressionable girl this mum was rather unique in both having her own business and also a rather special handbag I admired. It was a Dior print such as this and somewhere I'd aligned it with Louis Vuitton and so that became the brand I lusted for. The bag I wanted was the Alma which is rather a mature bag for a young girl to desire and I can even remember receiving a plain black version from Marks and Spencer for my birthday as it was the closest I could get to owning such a thing. I remember very clearly walking along holding the M&S 'dupe' as we could call it now and pretending it was the Louis Vuitton Alma. It was almost like I was practicing for the day it would be mine. Fast forward a few more years and my love for Louis Vuitton had not changed but things were rather different then in that designer handbags, certainly not in the circles I mixed in, were not things girls in their early twenties were using or justified buying, so it seemed. Of course you'd spot older girls in clubs and bars using Louis Vuitton make up bags as clutches that were obviously all they could afford or had been pinched from their mums but it wasn't like today when I sit on a train and see all manner of designer labels of varying price ranges, adorning women of all ages. One night my friends and I were in our local nightspot and discussing our love of Louis Vuitton I said I would marry any man that brought me a handbag from there. A gentleman in our group brazenly responded he would buy one. And many months later he did. Did I marry him? Sadly not although we were engaged for a brief time but the romance with my Louis Vuitton bag lasted longer so don't feel sorry for me. I'm unsure why I picked the Louis Vuitton Eclipse over the once favoured Alma but I would suspect it was that it was similar in style, even today I usual lean towards top handled bags, but with a difference. And boy did I love that bag although I haven't used it for years. The photos for today's post were taken when visiting my brother and his family and my mum, who now has 'custody' of the bag, was accompanied by it. The biggest downside for this bag is it's so structured and round that it doesn't allow for filling with all the daily essentials, particularly those of us that like to carry a book or similar size/shaped items which is why I have others in my collection which take preference. As a regular user of London Underground I tend to like a bag that I can zip for safety reasons. 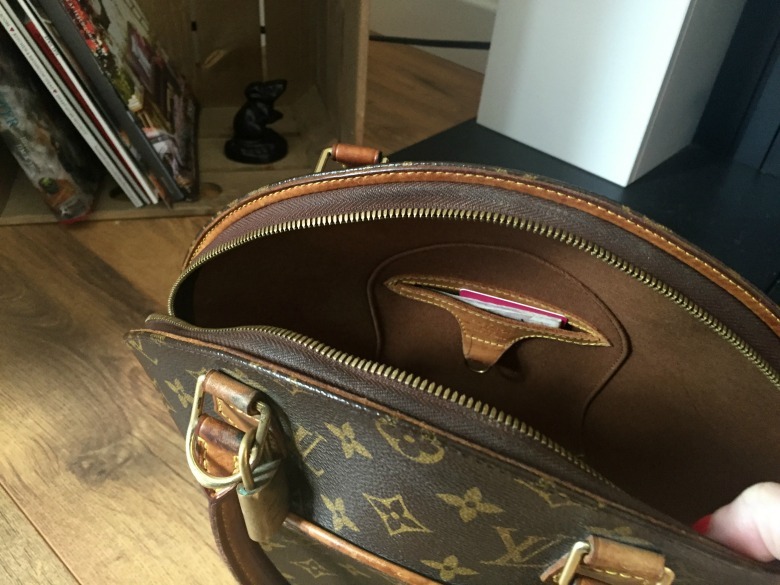 The other issue I often contend with, and why I like Louis Vuitton for it's repeated pattern is that I'm left handed meaning that to have the zip 'my side' often the design of the bag would be hidden or I'm exposing the zip to wandering hands I can't see behind me. At the time this bag was about £300, oh to be able to find Louis Vuitton for that price now and it has since been discontinued which does make me enjoy it a little more. Perhaps it's time to remove it from my mum's clutches and give it another whirl. After reading The Kind Worth Killing it would've been easy to select a similar book but rather than risk picking something I didn't enjoy as much I changed theme and went for The Selection by Keira Cass. It's the chance of a lifetime and 17 year old America Singer should feel lucky. She has been chosen for The Selection, a reality TV lottery in which the special few compete for gorgeous Prince Maxon's love. Swept up in a world of elaborate gowns, glittering jewels and decadent feasts, America is living a new and glamourous life. And the prince takes a special interest in her, much to the outrage of the others. 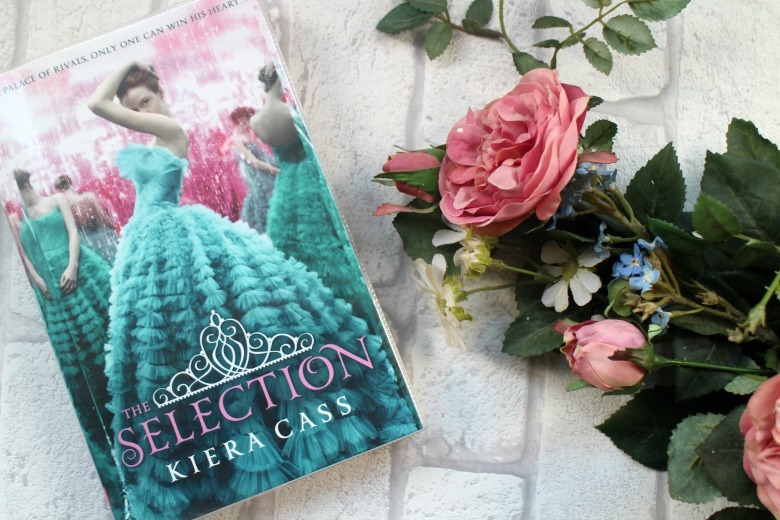 The Selection is the first in a series of five young adult books, the latter due for release next month, set in a dystopian world. Following a number of World Wars, everyone is identified by numbers, the higher the number the poorer you are. Prince Maxon is looking for a wife he reaches out to the lower classes to audition for the role. Typically America, our protagonist is disinterested in performing in such a contest but pressured by her families limitations she auditions. This book has been compared to The Hunger Games but I'm at a loss why other than the dystopian nature and the competition element but it's somewhat less lethal than what Katniss experiences. Having just read Only Ever Yours which was somewhat lackluster this covers a similar 'mean girls' element much better. There's also a positive message in that by 'being herself' America catches the attentions of those around her. Yes it's somewhat adolescent and obvious how the story will go (especially if you investigate the further titles in the series), although it didn't end exactly as I thought and I have questions which I'm keen to explore in the next book. It was a slow burner but I often find that with any book after reading something I've especially enjoyed. Nonetheless it ended up being the perfect read so much so that I finished off very quickly and even spent an evening on the sofa finishing it rather than watching tv - if I read the book outside of my commute it's always a good sign. It's not the most the most highbrow of books but if you're a fan of The Bachelor and other such reality shows I'm sure you would enjoy The Selection. 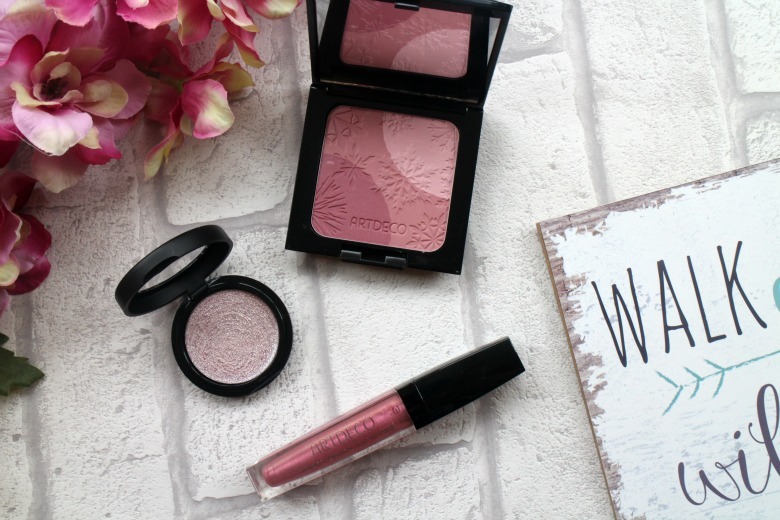 I was first introduced to Glo & Ray last year and am still a big fan of the eyeshadow palette and lipstick from their range so the chance to try some more products was great news. In addition to the make up items I did receive the Facial Cleansing Gel* which I'm still in the process of testing so keep an eye out for that still to come. Starting with Glo & Ray Colour Correction Luminous Base Foundation* in the shade 30 which regrettably was not a product I enjoyed using. A luminous base to provide a velvet finish containing micro-shine particles to disguise pores and naturally brighten skin tone. Now that all sounds rather wonderful and I can't deny my problems start more with it's application. Glo & Ray advise they have an innovative 'water in smoothie gel emulsion system' which means you only need the smallest amount and I fell fowl of this the fist couple of times finding just the right amount to apply. I also found the shade off for me but that can also apply to my application technique. I had a hunt round the internet for additional reviews and it seems others were all favourable and I can't deny that once I'd worked with application it did certainly cover imperfections and leave skin looking radiant but after a short while and when I looked a little closer it would settle in my smile lines, I found it difficult to blend, especially around eyebrows and I imagine it would be a disaster if you had dryer skin. Interestingly it reminds me of the Bourjois City Radiance Foundation I tried recently and have not found working for it so if you're a fan of that you may very well find the Glo & Ray Foundation a keeper. 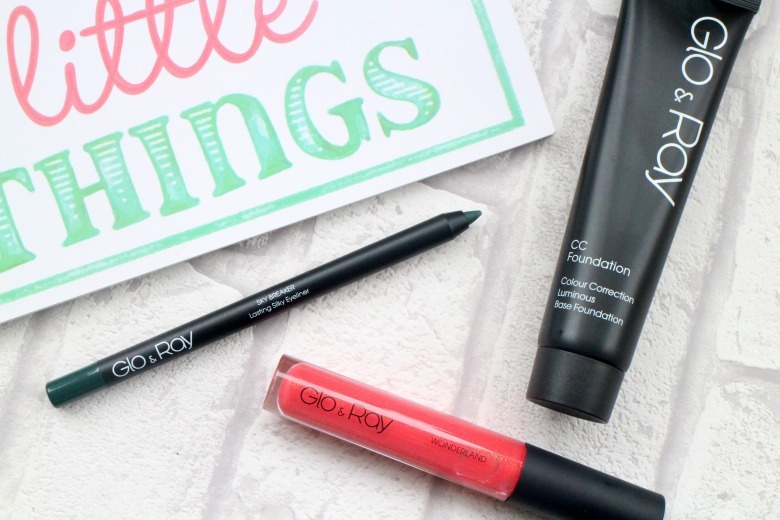 Moving on to the more positive review I already knew that Glo & Ray Sky Breaker Eyeliners were good and so it was nice to have Forest Green* arrive to try. As the Summer arrives I like to be a little more brave with my eye make up and loving using blues and greens to play with this and Forest Green is a nice dark shade which works well with my eye colouring. Unluckily for me my mum spotted it on my dressing table and has subsequently pinched it but she's enjoying it so I don't mind too much! Finally is Glo & Ray Wonderland Lip Gloss* in Crystal Lava. I usually say that I don't like to wear lipgloss but that's not the case of late but still I can't bear sticky glosses, which this is not. Whilst it's not uncomfortable it's dry in application. In the tube it looks like there's some sparkle which doesn't translate on the lights other than to catch the light with its glossy finish. Likewise it's not as pigmented as it appears in the tube although it gives a nice pink tint to the lips. As with most glosses in my collection it works well either alone or over lipsticks. Blogging is very much extremes these days, one minute we're craving huge make up collection videos and in the next breath it's decluttering our stashes that gets the hits. For me even as a minor league beauty blogger I can't deny that the large amount of products I own can be a little overwhelming and it was time to have a little clear out. 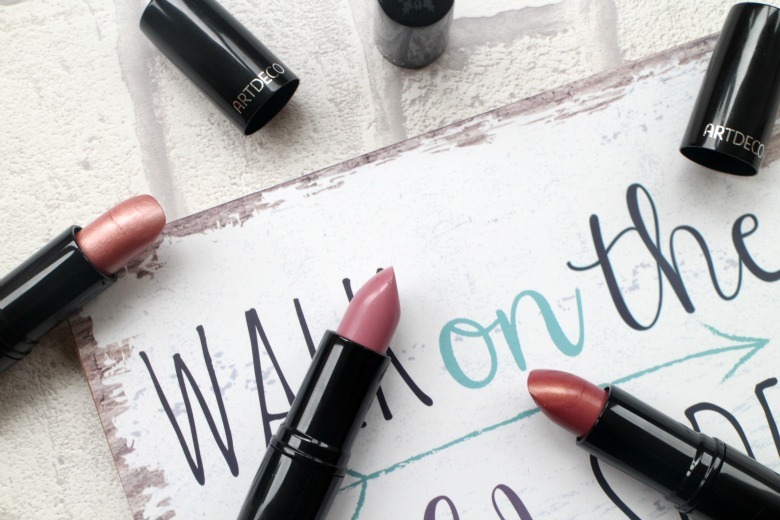 I've named this post #1 as I suspect this might be a series of sorts that I sporadically share on my blog as I continue wading through my products and decide rather than have multiple variations of the same shades or products I instead pass them on to friends and family. Hands up if you have friends like mine that like nothing better than going through the bags of products you have at your disposal. 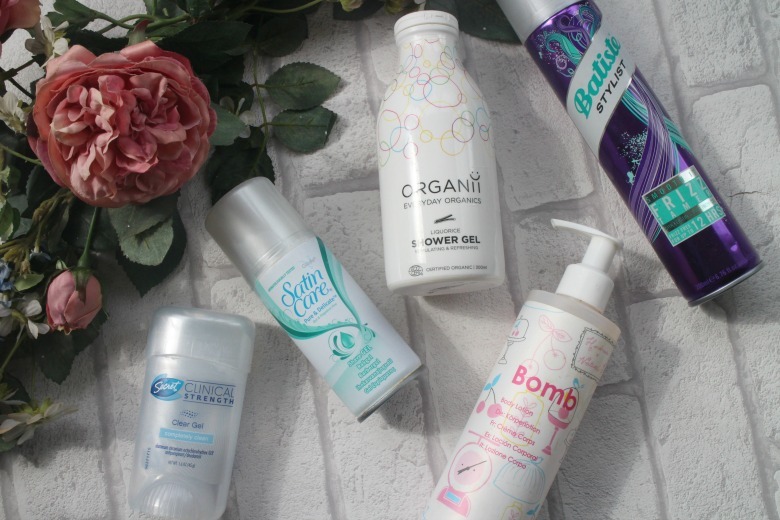 In some instance it might be products that don't necessarily work for me or just simply those that I have another similar product that I use more frequently. First are two Wet n Wild Eyeshadows in Brass and Brulee. The later is something of a dupe for Mac Brule and was one of those products that appears on Pinterest that I added to my US Shopping Lists. 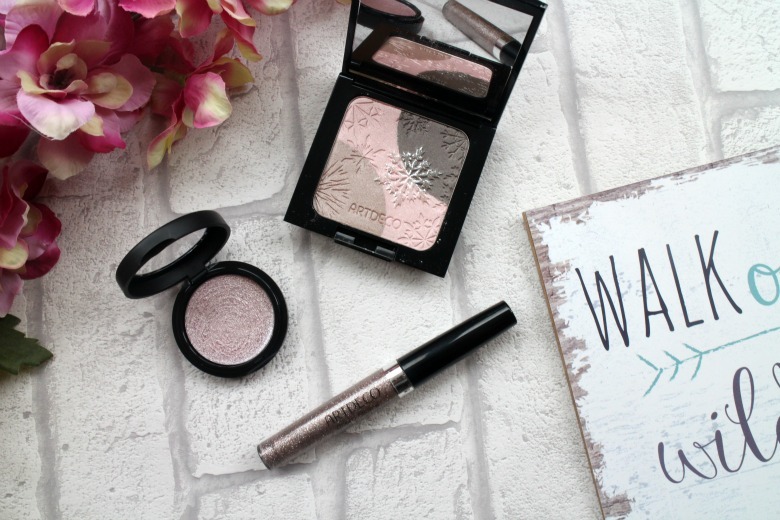 Whilst I love Wet n Wild Eyeshadows I have similar colours to Wet n Wild Brulee in my extensive palette collections, rarely reach for single eyeshadows these days and it just didn't do enough for me to warrant keeping. Wet n Wild Glitter in Brass was a disappointment but perhaps not surprisingly so. As you can tell from the pan this is very chunky looking and when I had a play around with it I had more glitter on my face than my eyes. Whilst it's one of those fun shadows to play with I think if I were to brave such an eye make up look I'd need something a little more sophisticated. 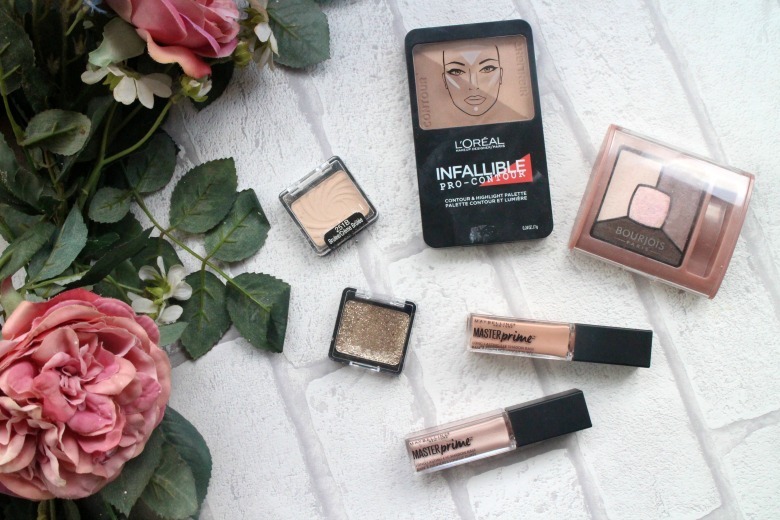 Oh I tried to make the L'Oreal Infallible Pro Contour Palette work for me and was really excited when I picked it up in the US hoping for it to be a dupe for Charlotte Tilbury's Filmstar Bronze and Glow (read my post here) but alas it was not to be. I found the size of the powders too small for me to work with (although I have more success using the brush enclosed with the palette) and when I own the aforementioned high end palette it seemed pointless to keep one I didn't like nor reach for. Maybelline's Eyeshadow Bases were another two products that didn't work out for me. I'm yet to find a drugstore eyeshadow base that works for me and with Lorac and Urban Decay knocking these out of the park, again there was no point keeping them. 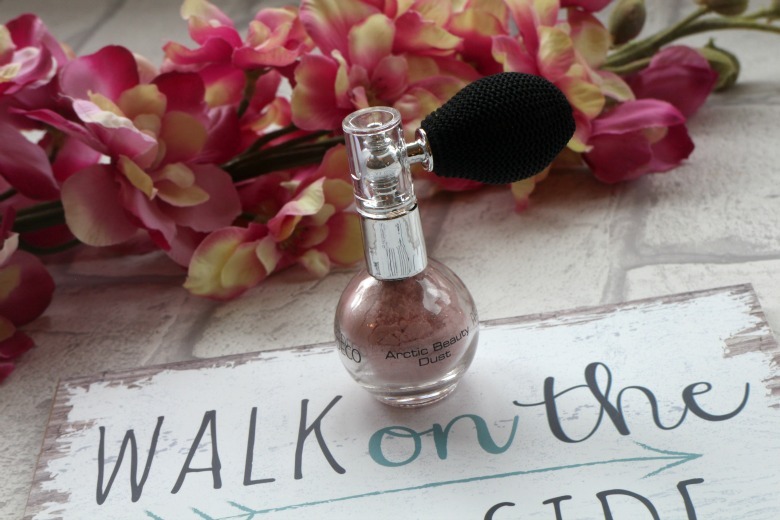 I did consider keeping the illuminating version for use as a highlighter as it's applicator made for running down the nose quick and easy but I just was not reaching for it. Finally is a product I didn't want to part with, Bourjois Quad in Over Rose* but it's time to stop the excessive indulgence. The Bourjois Quads are fantastic and I'd highly recommend to anyone looking for highly pigmented, long lasting eyeshadows. So why part with them? Well I don't wear pinks very often and once again my palettes have the shades covered and this was sadly neglected in a draw. I'd much rather someone else was able to love and use it rather than it gather dust. So there are some products I've managed to part with, not a great deal but it's a start. 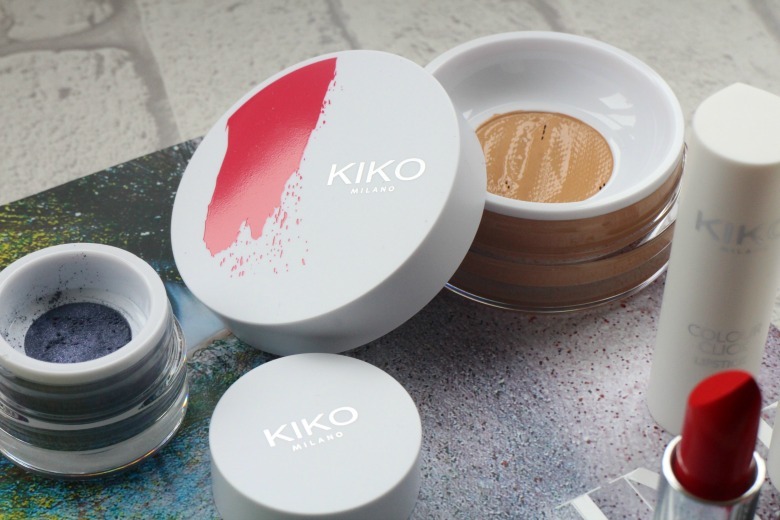 My local branch of KIKO at Westfield Stratford is always filled to the rafters with beauty lovers and part of the reason why I rarely enter and have yet to explore the brand properly. Despite rave reviews and a lot of blog coverage recently I don't know where to start when I enter the store as it can be quite overwhelming. 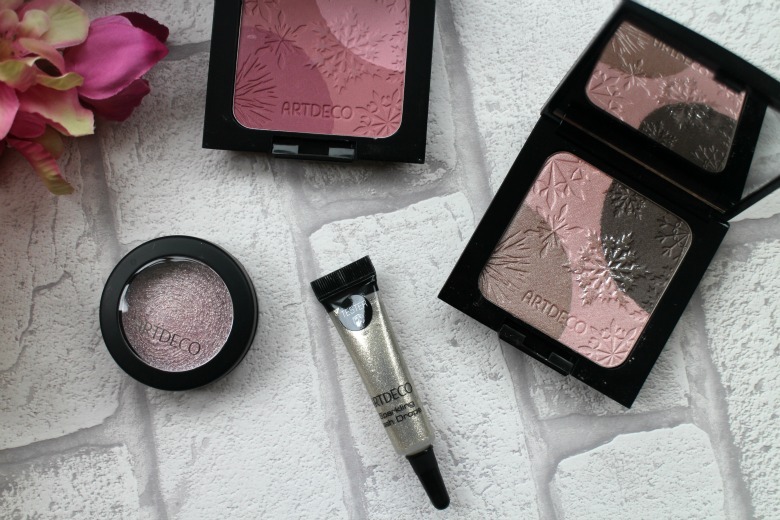 Luckily for me KIKO heard my plight and were kind enough to send me some items from a recent limited edition collection so I could explore what they have to offer in the comfort of my home. The items I was able to sample were from The Artist collection. I'll start with the packaging which I've rather enjoyed. Their regular range is carried in fairly standard, nondescript black but in this instance brilliant white with paintbrush strokes of colour really make this stand out and look far more expensive than the price tag. The first item I was able to sample was the Glacial Light Soft Sifter Foundation* in 05 Warm Beige which I'll start by saying is too dark for me. I was able to make it work although one male friend at work did comment on 'how bronzed' I was looking during one day of testing. A water-based and brightening foundation housed in a pot with the most intriguing part to me being the 'soft sifter'. As I've been currently testing the new L'Oreal Cushion Foundation I was interested to see if this would be a similar experience. I have to admit I'm a little confused about the point of 'soft sifter' and perhaps see it more of a gimmick. Unlike cushion foundations that you are encouraged to use the enclosed sponge this still requires you to use your fingers or a brush and I find the packaging can get a little messy. Of course it's still preferable than pouring product onto your hands so I guess you can argue it's like having your own artists palette to work with and I'm sure you use less this way but I think I'd rather have the formula either in a tub, tube or bottle. Packaging aside the foundation is nice to work with. I've found it to be a medium coverage depending on how you choose to build it up and really does brighten up my complexion. I'd compare it to a heavier coverage than my favoured Chanel Les Beiges Healthy Glow Fluid but with the same 'glow'. I use with a primer but have been forgetting any setting sprays lately as I rush out the door in the morning yet still find this foundation stays in place. I do think if you're on the oily side this might be one to struggle with and I'll have to test it a little more in the Summer when the colour is a better match and things get a little sweaty but until then it's one I shan't be parting with any time soon. 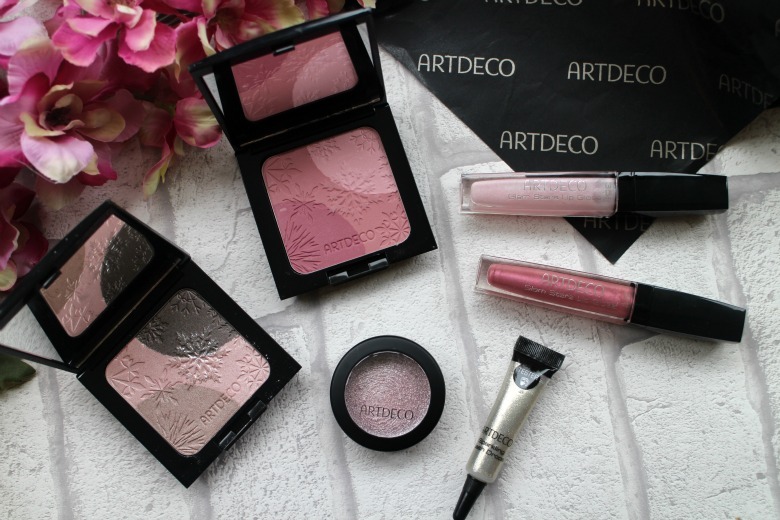 Following a similar packaging design are the Artist Stroke Mineral Loose Eyeshadows* available in six shades of which I have 05 Skill Blue. A pot of eyeshadow with the 'soft sifter' again you dab away and apply as required. Again things can get a little messy by way of product 'everywhere' but surprisingly when applying there was little fall out which I expected both from the formula and colour. The stand out products for me were those for the lips. 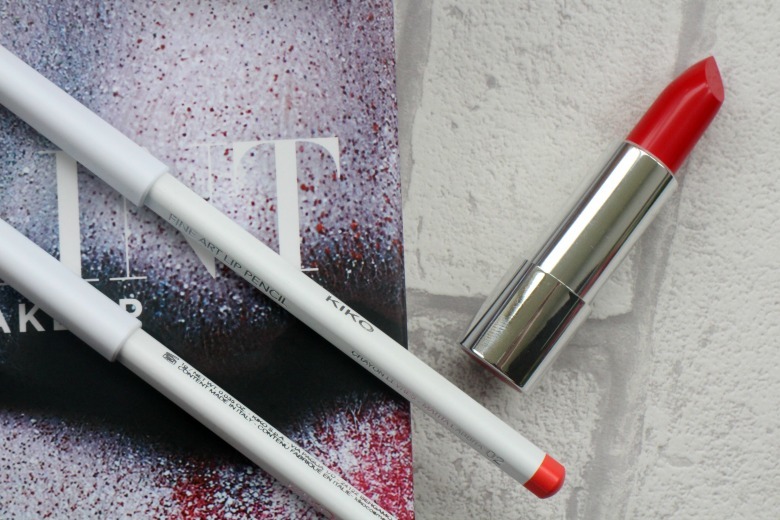 I was sent 02 Fantastic Coral* and 04 Impressionist Red* in the corresponding lipsticks and lip pencils. My favourite is most definitely Impressionist Red and the lip pencils are amazing. I went in on my first try to simply line and the pigmentation was so immense that I carried on filling in my whole lips and wore alone without even picking up the lipstick. If I were tight on space I could happily travel with the lip pencil alone and not have to worry about the liquids luggage allowance. 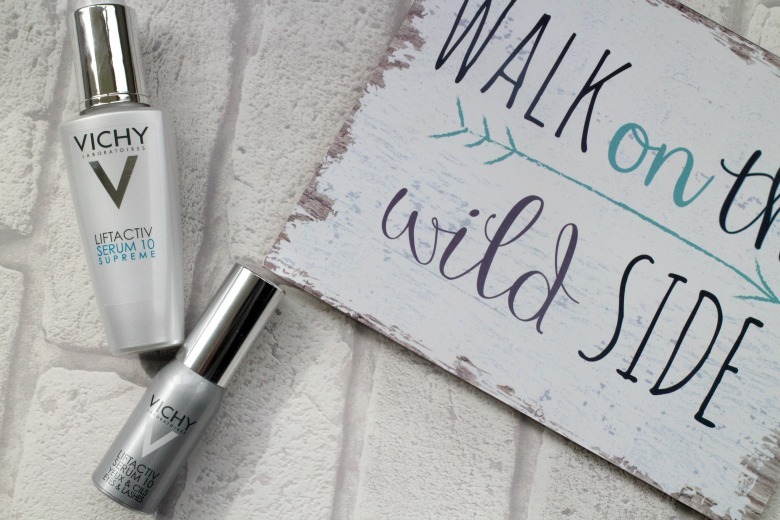 Both shades are great for Spring but I cannot wait to wear more frequently in the Summer. 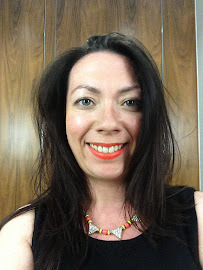 I find peachy orange lipsticks won't always suit me but Fantastic Coral is a bright vibrant orange which if I do say myself looked rather good. Again the lip pencil can be worn alone although I find paired with my NYX Butter Gloss in Cherry Cheesecake works fabulously and I have a feeling it'll be a frequent combo worn. 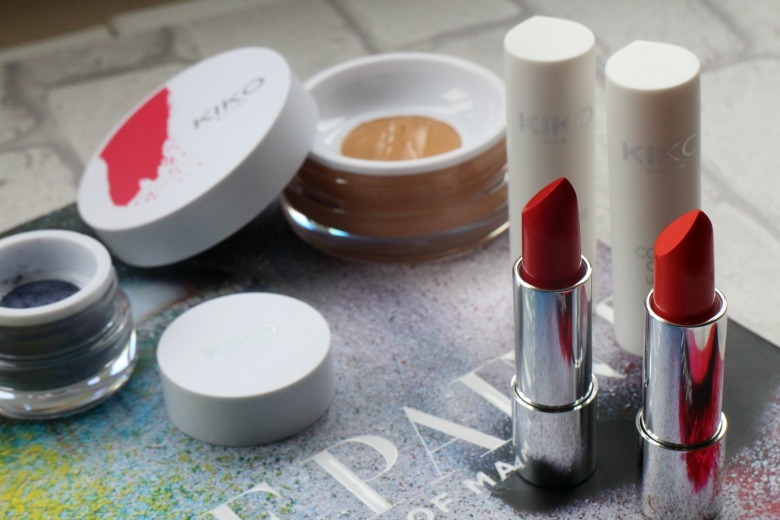 With such a successful experience with KIKO I have added a few more products from the extensive range to my collection which I'll be sharing with you in due course but do share you recommendations from the brand. I like a bar of Cadbury's Chocolate as much as the next person but turn up with a box of sweets and I'm yours. That's the real way to my heart so when Scoff Club got in touch asking if I'd like to test out one of their monthly sweet subscription boxes I was responding very quickly with a resounding yes please as my mouth watered scrolling through their instagram feed. With subscription boxes for anything and everything these days by way of function Scoff Club are not doing anything different. There are three price plans available, starting at £12.99 for the monthly service which includes free shipping. If you want to purchase a one off box, perhaps to try or indeed give as a gift you simply select the monthly option, press order and promptly cancel the service thereafter. Perhaps a little bit of additional admin but it's a fuss free process. 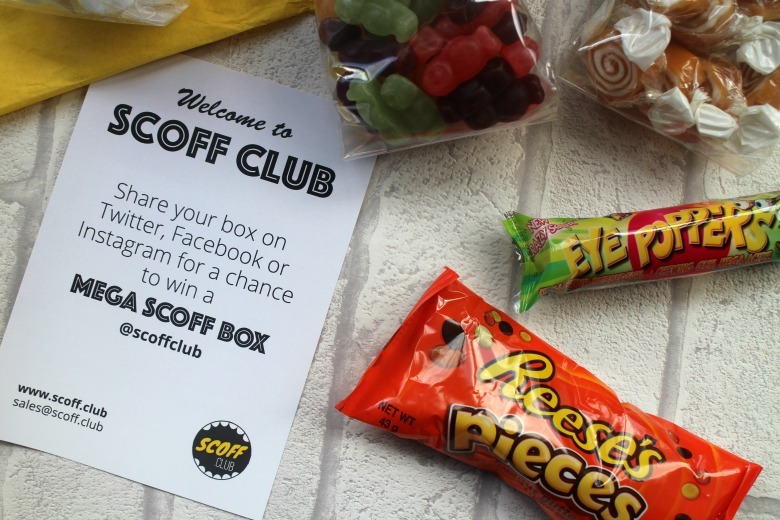 Scoff Club is a new service that launched last year and prices itself lower than some of it's competitors, who from my cursory investigations they seem to be more focused on American Candy and certainly higher priced. Scoff Club are aiming to hit your nostalgia buttons and bring back fun childhood memories and it's a great way for families to share or bring back those memories of days gone by. Every month you will receive a box containing an array of handpicked retro and classic sweets to satisfy any sweet tooth and plenty to share if you're wanting to. A rather heavy box will arrived, lined with bright yellow tissue and containing a selection of sweets for you to work your way through. The biggest issue posed when I received by box was that it was a Monday and I would have to wait a whole five more days before I could photograph the items for today's post. As such you will see that there might be one or two items missing due to my impatience. In my April box I received eight different types of sweets; a packet of Reese's Pieces (which Ben has already claimed), a large bag of Chocolate Honeycomb (which was amazing and demolished very quickly), Clotted Cream Toffee Bon Bons, Tutti Fruiti Fizzy Cubes (another favourite I was unable to save), Jelly Babies, Eye Poppers and Now and Later chews (yes they're missing too!). Ignoring the postage costs and if you were to split the price of the box between the eight products it's approx £1.62 per item although based on the weight and sizes of things such as the Fizzy Cubes and Toffee BonBons and the fact you could pick up a smaller pack of Cadbury's Crunchie Bits for about £1.50 for example you need to be a more exacting with working out value for money although I certainly can see it's worth the cost. It's all well and good saying you could pop to the supermarket and pick up some treats but if you're anything like me you'll revert to old favourites rather than trying something new. Every month is a surprise and there is no option to swap or change items, for example if you wanted to omit chocolate and you'd need to be wary of any allergies but I can imagine this being a great hit for parties or family movie nights as you all wade through trying new and old favourites. To be a little critical the packaging of the sweets is a little bit of a let down as it's pretty basic but I can understand that a company is working with quantities and looking to keep costs down. I have seen earlier reviews when tubs and paper bags, just like you would have received your sweets in 'back in the day' but I do acknowledge that they're not conducive to postage. It also helps push me into creating a little sweet dish to display my sweets in and/or for serving when I'm in front of the tv and wanting to satisfy my sweet tooth. 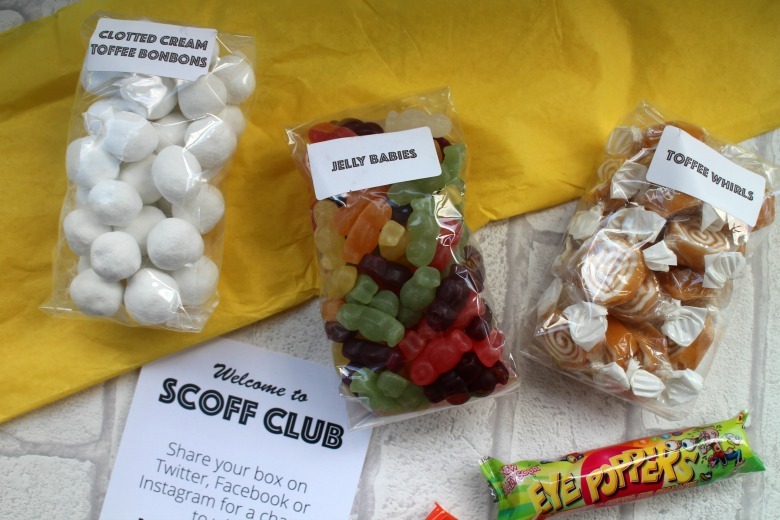 I can certainly see the Scoff Club Sweet Subscription Service being a hit and after paying nearly £10 for a Haribo Pizza as a gift for friends at Christmas last year I think I'd much rather gift one of these boxes to offer more choice. 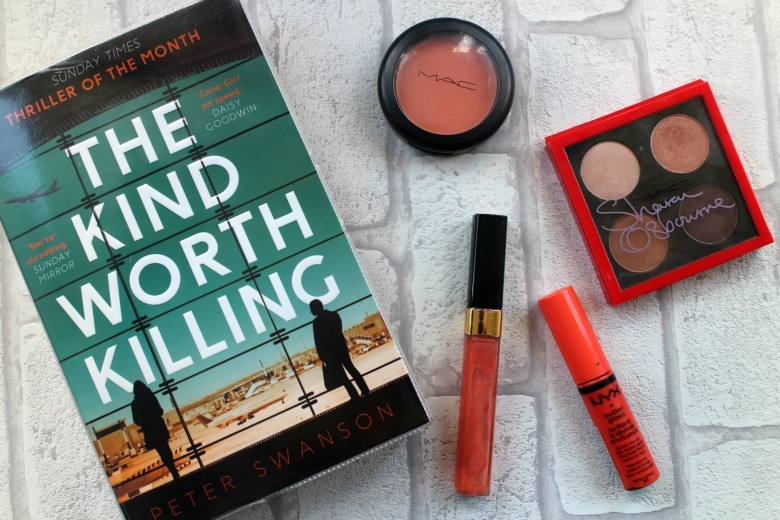 I start drafting today's post whilst on page 147 of The Kind Worth Killing by Peter Swanson thinking it would be more interesting to watch my thoughts progress as I read the book, rather than let any ending possibly change my review. My reading tastes have changed of late, long gone is my love of chick lit, Becky Bloomwood of Shopaholic fame, once my favourite book series is behind me (in fact she infuriates me now) and now I'm more likely to be found reading Gone Girl with a little dystopian literature thrown in for good measure. It was Poppy Dinsey's video that highlighted this book to me and I subsequently requested it from the library, three failed books in and I finally turned to The Kind Worth Killing and breathed a sigh of relief at having found a book that I'm enjoying and subsequently finished in two days. Whilst I have no intention of sharing spoilers, and anything additional I might 'give away' is revealed in the first chapter if you're concerned skip a couple of paragraphs! I'm sure we've all had a rant to a friend about someone who has wronged us and are darker thoughts and flippant comments made that hold no substance, but what if they weren't? Each chapter alternates between Lily and Ted's stories, Lily's the past and Ted's in real time as he makes plans for his wife's murder. It helps build up pictures of how and why both characters are where they are at this point in the story. The real time story telling allows you to appreciate Ted's rage and hearing from Lily makes you question what sort of character she is. It's a fast paced story that twists and turns that kept me guessing right till the very last page and that rarely happens. In fact so much did I enjoy this book that I refused to disembark a suspended Central Line train one night as I was quite happy to wait until it resumed service reading my book and I even went to bed early, with no tv switched on so I could finish it entirely. It took me two days. I have already added Peter Swanson's other novel to my library hit list as I'm keen to see how that compares. If you're looking for an enjoyable and easy read but with substance then do seek this out. 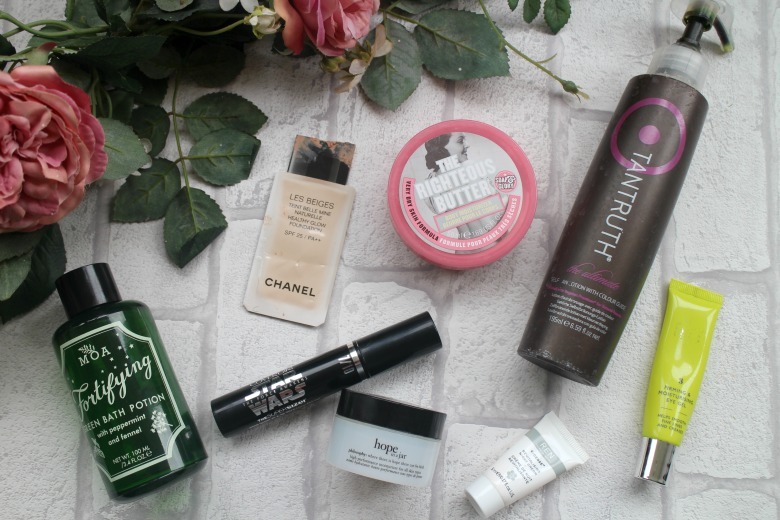 Today's post is an extension of my monthly empties and appropriately so before I say goodbye to a full head of brunette hair and make some changes for Summer. 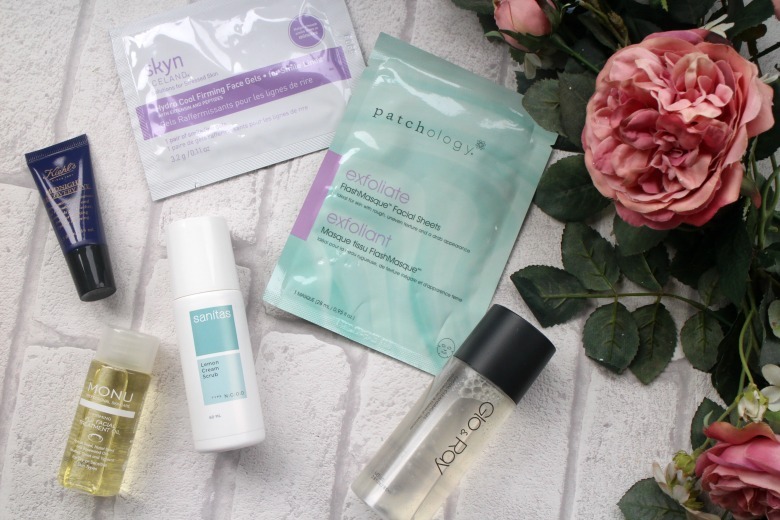 Three products I'm sharing are three that I've used for a long time, on and off over the years and will be recognised by you if you're a regular reader. John Frieda's Brilliant Brunette range has been used by me for years and I often purchase the travel sizes for holiday, knowing it's a shampoo and conditioner that works for me. When I used to colour my hair I would dabble in the other colour ways, blonde in Summer to bring out lighter tones and even the red head version when I had highlights. Whether it was physiological or not I don't know but I felt it worked a treat. When I had shorter hair I was a big fan of the Sheer Blonde Spun Gold wax which is sadly now discontinued and it's quite possible I may need to explore more from the range after today with my newly coloured and cut hair. If you're a brunette and looking for a shampoo and conditioner duo made with crushed pearls and sweet almond oil to bring out rich tones and add shine without grease then seek these out. 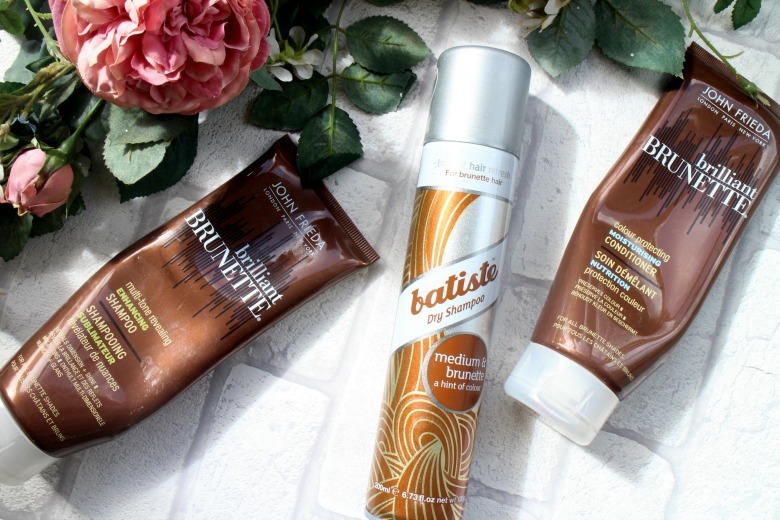 And another mention and can of Batiste Brunette Dry Shampoo bites the dust this month. 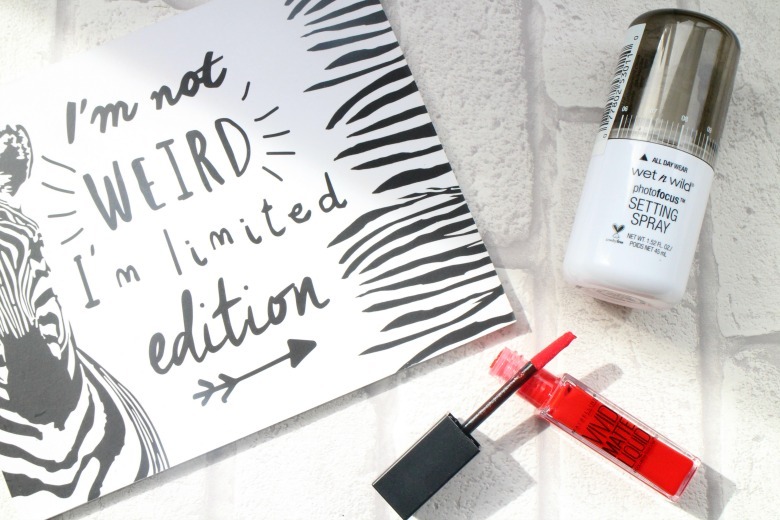 Its usually just habit that I reach for the brunette version, especially as lately I've been using the 'regular' versions and whilst there's an initial obvious powder it is quickly brushed out and doesn't cause me any bother but there's nothing wrong with good habits. What products do you reach for that are specific to your hair type? I have a healthy collection of empties this month so I'll dive straight in with a bath time favourite, MOA Fortifying Green Bath Potion*. Aside from the packaging speaking to me on many levels and whilst it might not be the most cost effective product at the mere hint of a sniffle I'd be running myself a bath with this herbal blend of peppermint, fennel, fir needle and birch. All ingredients that would help detoxify, calm, relax and ease aching muscles but most importantly, it was the scent. This is the only contender to Jo Malone Pomegranate Noir to fill my bathroom with such an amazing scent which lasts long after my bath water has run away. I won't dwell too much on the sample of Chanel Les Beiges Foundation as I was lucky enough to receive it for my birthday and anticipate a review coming soon but if you're impatient perhaps read my introductory post on the foundation and obtaining product samples here. Mascaras for me either seem to last forever or disappear very quickly, and in the case of the Covergirl Star Wars mascara it was the latter. A thin brush that worked to lengthen lashes and worked a treat on my bottom lashes it become quite a favourite and obviously it's frequent use saw it's rapid decline. Philosophy's Hope in a Jar in this smaller size was a handy TK Maxx find which I'd always been keen to try. I'd heard Neutrogena's Healthy Skin Moisturiser was a dupe and had picked it up on one of my US trips and whilst I did attempt some comparisons and I found both great to use I did find them worthy of a dupe comparison post. It always seems when I travel I have a Soap & Glory Righteous Butter available and this was one I took to Florida. With a little left in the tub I wasn't going to leave it behind. We all know by now how good the Soap & Glory Body Butters are so I won't bore you with another rave review. I was quite excited when this sample of Ren Revitalising Night Cream came my way and rather than save for a trip away I decided to pop into my bedside cabinet. Unfortunately I wasn't blown away by this night cream at all. There was nothing about it that made it feel luxurious which is what I look for from my evening skincare products. The sun is starting to show it's face and soon more and more skin will be on show and I'm trying to get into the habit of tanning. I've moved onto other products now but the past months I was using Tantruth The Ultimate* which I shared with you here. And then there is Eloquence Beauty Firming and Moisturising Eye Gel* a product I''ll be missing come hayfever season. This was a great eye product and worked a treat during my long haul flights and easing jetlag. 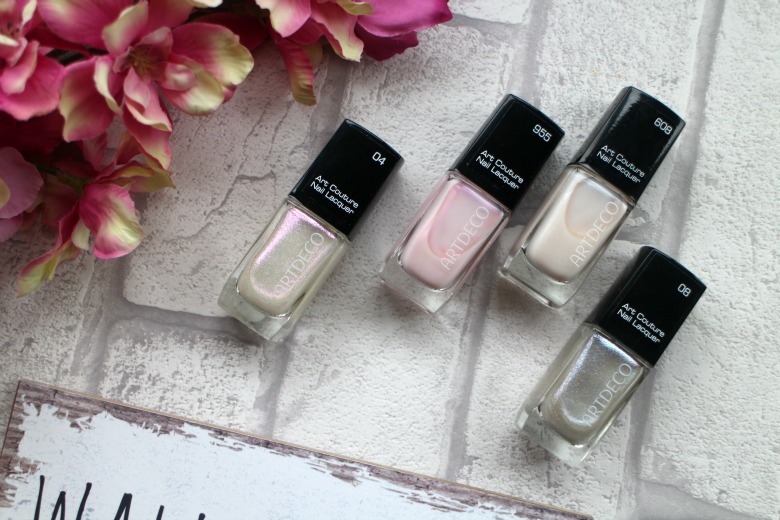 Don't forget to check out more of the Eloquence Beauty range in my review post. Oh yes the empties continue and first of all is a disappointment in the form of Secret Deodorant, a US purchase. I don't know why I even bothered to a) waste dollars on a deodorant and b) take up valuable suitcase space on one when I know how much I love Sure Maximum Protection but we'll blame the blogger in me wanting to try something new. It wasn't a bad deodorant and didn't perform too badly it just wasn't a match for Sure. Gilette Satin Care Shaving Gel* is another product I remember from years ago and was a constant in my bathroom. These days I have enough revolving products in my bathroom without using shower gel to wash and shaving gels to shave. That said it is a great product and if you have sensitive skin and shower gels aren't cutting it when you're shaving your legs then its definitely a worthy purchase. I'm not the biggest liquorice fan but I did enjoy trying Organii Liquorice Shower Gel* and it was a worthy companion to my shower routine. And after the shower my body lotion of choice was Bomb Cosmetics Cherry Pie*. The scent of this was delicious and whilst it wasn't the most thick lotion for really dry Winter skin it worked well for me. Finally is Batiste Stylist Smooth It Frizz Tamer* which is not a product I really need as I don't suffer from frizzy hair and instead passed on to my mum to try and she's been enjoying it. I'm slightly regretting the choice as I may want it back once we hit Summer and humidity kicks in.